The stripes that you see on a lawn or sports field are not natural and have to be created while mowing. Many of us think that the stripes and patterns are achieved by cutting the grass in different lengths but no; the stripes we see are the effect of reflected light from the blades of grass. The stripes are achieved by bending the grass at different angles. Ever wondered how a field is so perfectly dressed up in patterns? Obviously the reason is the grass but not their length or breed. A group of grasses is bent in a particular direction which makes them reflect light. This reflection brings about a visual experience in which it seems that either the grasses are cut at different lengths or they are of different breed. Professional lawn mowing services can help you to achieve great looking patterns in your office lawn. If the blades of grasses are bend towards you, then you will see a much darker color because you will be seeing tips of the blades and shadows underneath. On the other hand, if the blades of the grasses are bent away from you, then you will be seeing a much smoother and lighter shade. The easiest way to intensify the shades on the lawn is to have the grasses bent further. A roller would be helpful in doing this work. Stripe intensity can also be affected by the length of cut. 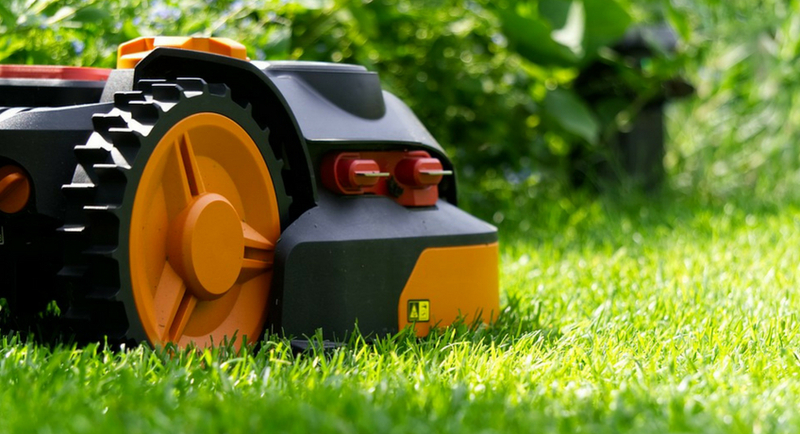 Cutting the grass shorter will normally lessen the stripe as the shorter grass blade will not bend over as far and therefore reflects less light. Straight lines - This type of pattern can be achieved by mowing around the circumference and then gradually inside the lawn or field. Checkerboard - Like straight lines, if you want a checkerboard in your lawn, you might first start with perimeter mowing. After the perimeter has been mowed, mowing in the opposing direction is the second step. Zig-zag - This pattern requires you to have done the checkerboard pattern earlier. This is because the checkerboard will work as a template for the zig-zag pattern. These are some ideas for striping and mowing a law. If you want to know further, then seek help from our expert team at Pharo Cleaning in Frenchs Forest. If you liked this post then get in touch our blog space for more posts like this.